The peaceful sound of the calm river flowing, birds singing and fly line casting is one of natures best way to experience authentic fly fishing in Western North Carolina. Fly fishing for trout from a drift boat can be the most rewarding fishing trip offered in Western North Carolina. 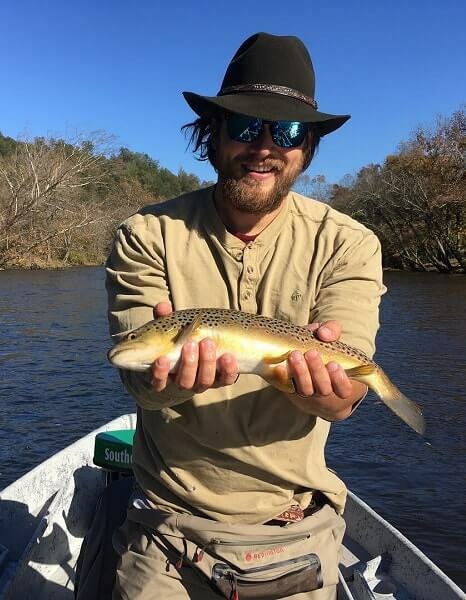 With over 25 years of experience on our tailwater river systems, our guides have the knowledge and patience to put clients on all species of trout. If you are new to fly fishing our guides can provide casting demonstrations at the put-in before floating down the river. The best time of year to book for your guided trout fishing float trip is October 1st through May 31st. These months provide trout with colder water and fisherman with quality and quantities of fish. Fly fishing is by far the best way to catch trout in our beautiful Appalachian mountains. Your guide will provide 4-6wt rods depending on type of flies and casting that will be used at any given month. Proven techniques include dry flies, wet flies and streamers. Dry flies are common during the warmer months in fall(October - December) and spring(March-May). Wet flies including nymphs and pheasant tails are also commonly used during these months but prove to be more productive during the months of December, January and February. If you're a streamer junkie we have got the guides that can prove to you that streamer fishing is all its cracked up to be. Streamer fishing in WNC is best in the early months of spring and the late months of fall. Typically when big trout are preparing to get hit with a cold front or a low pressure system, streamers are on a guides mind. We provide our clients with the best boats and the best gear in the industry - we never fall short. Our guides are dedicated to making each and every trip the best guide fishing experience, hands down. 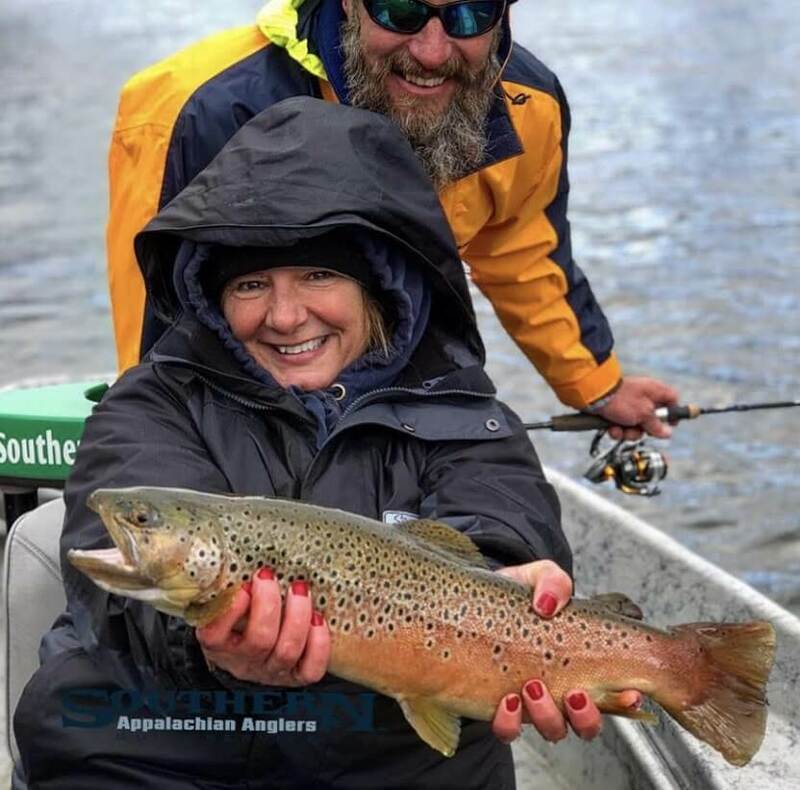 All guided float trips will be outfitted with an Adipose drift boat or outfitted NRS fishing raft which provides ample room for passengers and is designed for fly fishing and spin casting. Your guide will provide all the fishing equipment including waders, boots, fly rods, fishing rods, flies, line, leader and more. Fishing licenses must be purchased separate on the NC Wildlife website before the date of your guided fishing trip.